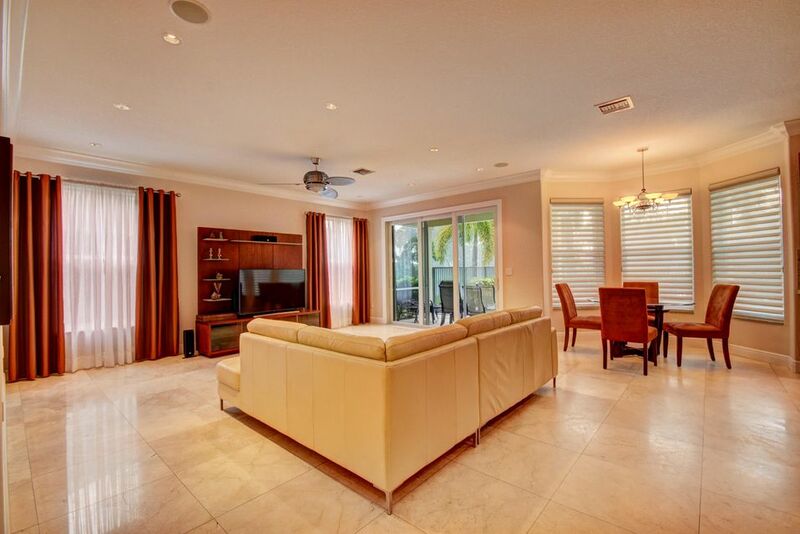 Hi Amanda, I'm interested in more information on 19245 Skyridge Cir, Boca Raton . Saturnia allows pets, but has restrictions. 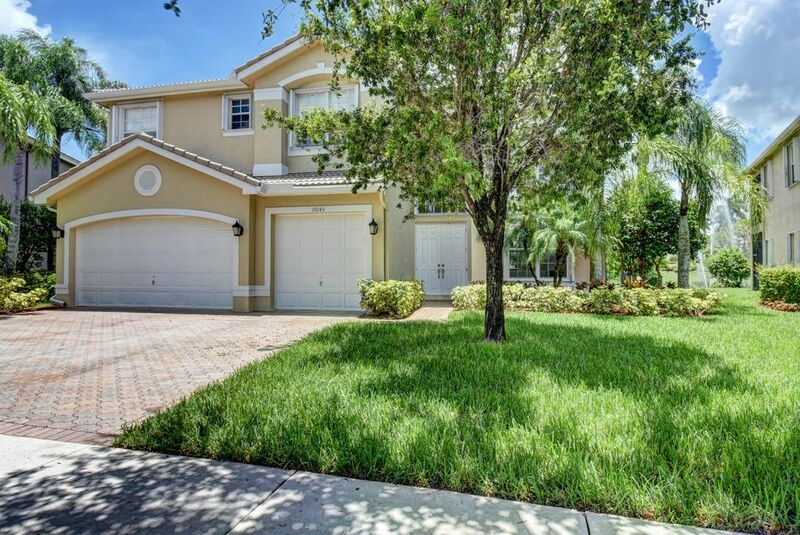 The adorable home at 19245 Skyridge Cir, Boca Raton in Palm Beach County is a perfect location. Constructed in 1999, the home is within the Saturnia neighborhood. There are 5 bedrooms and 3.0 bathrooms in this home. The 3,301 squarefoot home is classified as a RESIDENTIAL: SINGLE FAMILY, and it has a 0.22 acre lot. 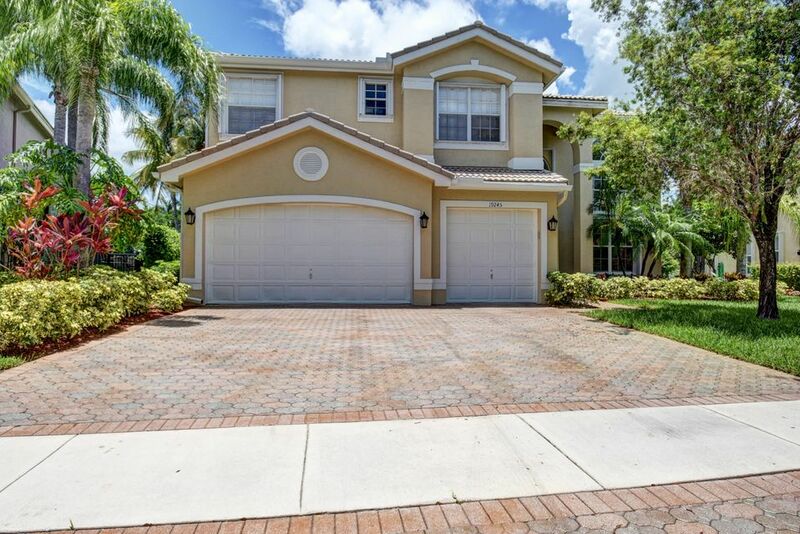 If you have been searching for a property for sale in Saturnia Boca Raton FL, this property is a perfect exemplification. The home is zoned for the A-rated Sunrise Park Elementary School. The middle school for this home is Eagles Landing Middle School, which has an A school grade. 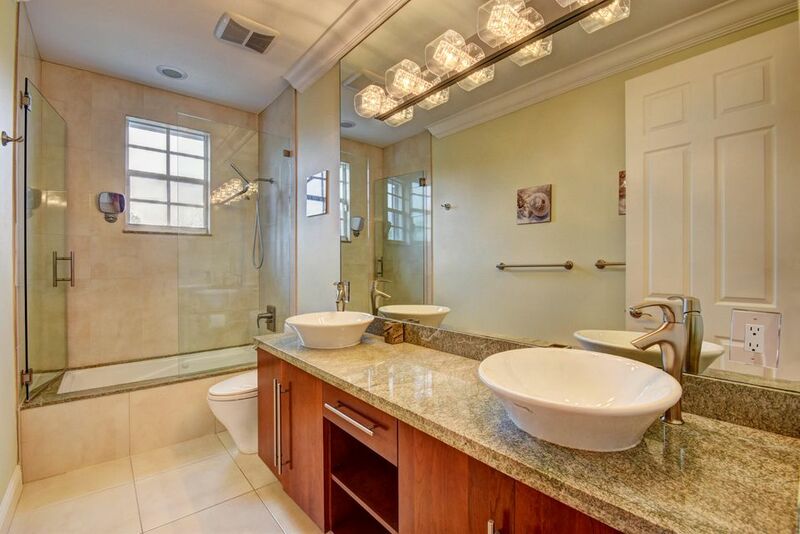 While the high school for this property is the A-graded Olympic Heights Community High. This one-story four bedroom three bath home features a split bedroom plan and sits on a private (interior) home site.Features include accordion hurricane shutters,wood floors in secondary bedrooms,custom window treatments and hi-hats.Enter the home through double doors into the dramatic foyer with 15' ceiling.The living room features French doors.The kitchen has wood cabinets,double oven,pantry and separate breakfast nook.The large family room,with built-in entertainment center,is open to the kitchen.The master suite features a tray ceiling,two outfitted walk-in closets and a master bath.Two secondary bedrooms share a Jack and Jill bath.The 4th bedroom/den has a built-in unit with desk.There is a full bath adjacent.The large backyard with covered and extended patio has room for a pool. Beautifully appointed 4 bedroom 3 bath one-story home on south backing oversized private lot with trees beyond.Features include accordion hurricane shutters,tile on diagonal,tile design in gallery,crown moldings,'wood' floors in all bedrooms,French doors,custom window treatments,outfitted closets.The gourmet kitchen features glazed wood cabinetry with bump out at double oven,1 year new GE profile stainless steel appliances,Jenn-Air cooktop,center island,desk area,snackbar and separate breakfast nook with rounded seamless window.The family room is open to the kitchen.The master suite features outfitted walk-in closets,a luxurious master bath and French doors to the covered patio.The backyard 'resort' has an oversized marble patio,heated saltwater pool and spa with waterfall and pergola. Magnificent Chateau Lafite, 5 bedroom, 4 full baths with 3 car garage on lake front lot, room for private,oversized pool. 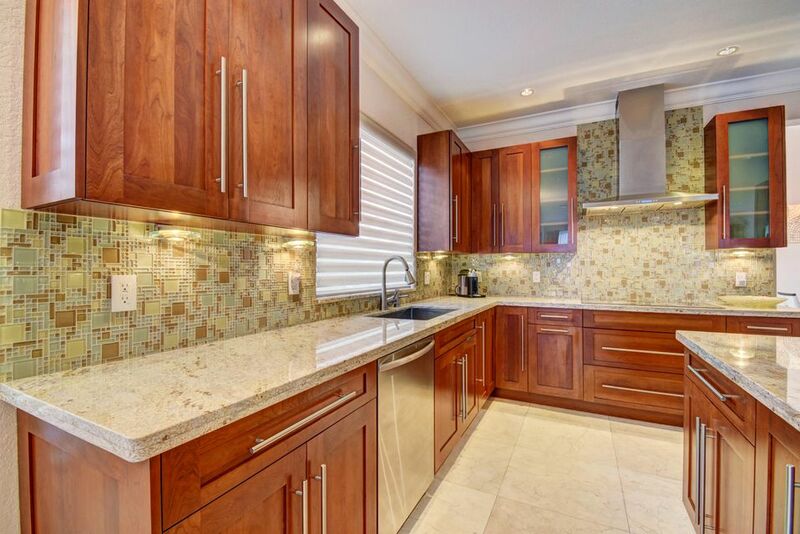 Beautifully upgraded..built ins, gourmet kitchen with granite and vegetable sink in island. Beautiful wood floors on staircase and throughout second floor. Lushly landscaped and much more.. A must see in a great community zoned for great public schools (Two right across the street)!!! 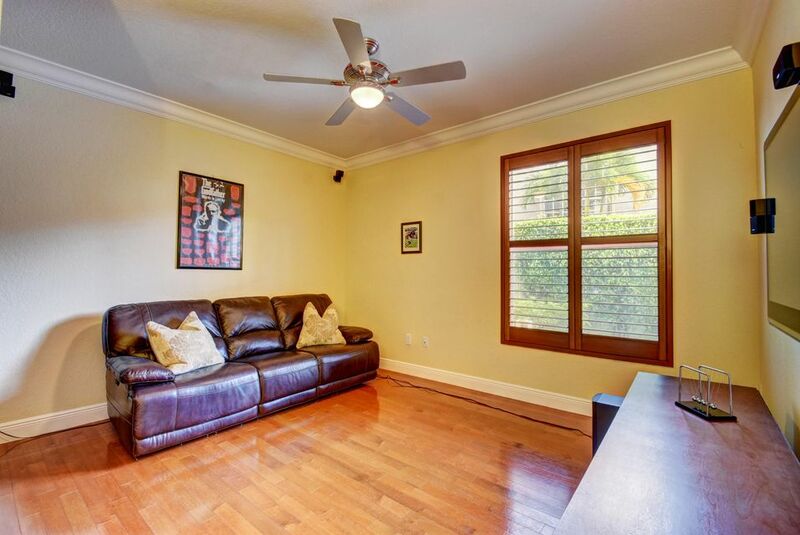 BEAUTIFUL ONE STORY EXPANDED MONET MODEL ON A LARGE CORNER LOT. 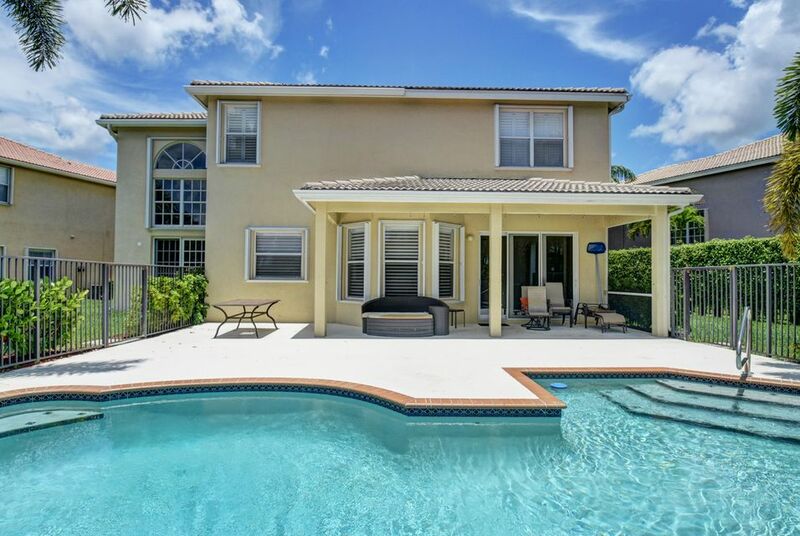 THIS 5 BEDROOM 3 FULL BATH HOME HAS TILE AND WOOD FLOORS THROUGHT,LARGE FAMILY ROOM,COOKS ISLAND, OVERSIZED HUGE HEATED LAP POOL and SCREENED PATIO AREA. OPPORTUNITY KNOCKS OWN THIS IMMACULATE ONE STORY EXPANDED MONET MODEL ON QUICETE CUL-DE SAC STEEET.CROWN MOLDING THROUGHOUT AND BEAUTIFUL CUSTOM DRAPERIES. 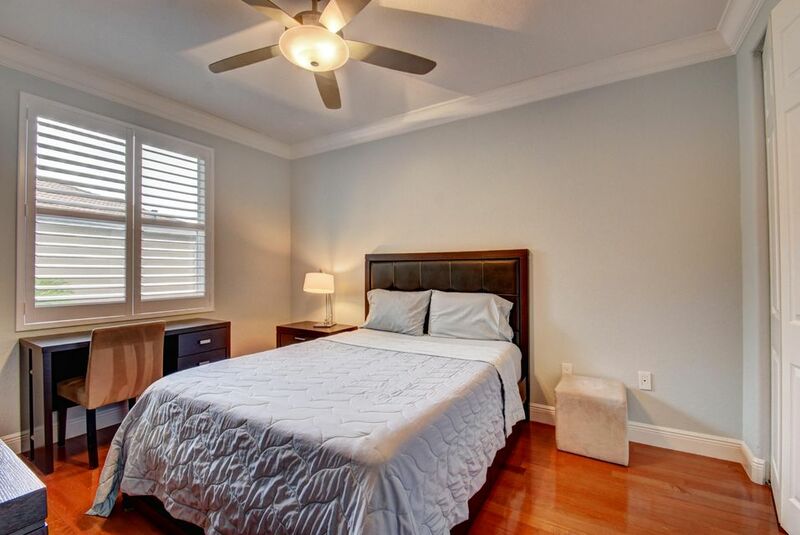 NEUTRAL TILE FLOORS IN THE MAIN LIVING AREAS AND WOOD IN ALL BEDROOMS. 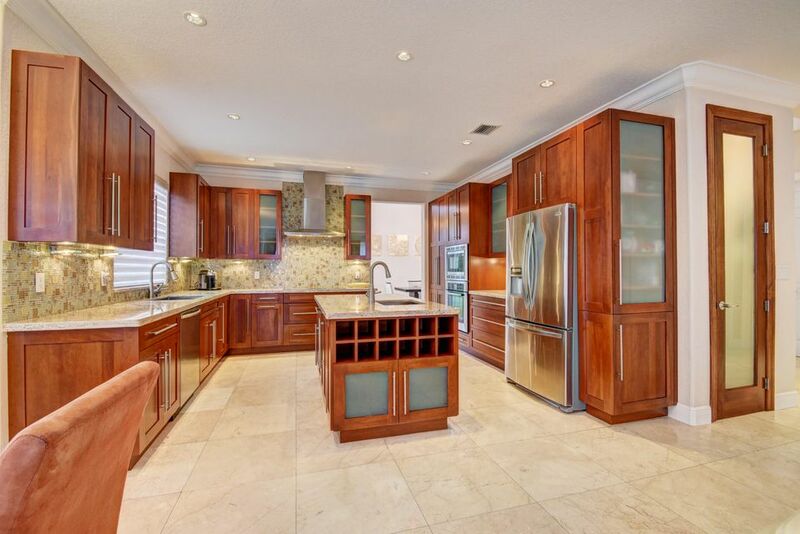 KITCHEN HAS A CENTER ISLAND WITH GRANITE IN CENTER OF KITCHEN..,OAK WOOD CABINETS AND LARGE COUNTER BAR THAT OVERLOOKS FAMILY ROOM LARGE MASTER BEDROOM WITH SITTING AREA OVERLOOKS THE POOL. This lushly landscaped one-story 4 bedroom 3 bath home with 2 car garage and circular drive sits on an oversized pie-shaped lakefront lot.The backyard resort features a large open patio with covered area for dining,heated pool and grassy areas for swingset or play.A hurricane impact French door off the kitchen leads to a summer kitchen/wet bar structure with Lynx bbq,TV and bose speakers.There is a large storage shed and gated dog run on the other side of the home.A $3,000 mosquito misting system covers the yard.The interior of the home features a split bedroom plan,built-ins,custom light fixtures,hi-hats,fans,crown molding,beautifully renovated Jack and Jill bath,built-in closets,murphy bed.The kitchen features granite counters,snack bar,breakfast nook and is open to the family room. Enjoy exceptional fountain and lake views in this primely located 5 bedroom, 4.5 bath residence in Saturnia. Enter into the living room awash in light from two story volume ceilings and architectural windows. Exploring the grandiose home, you will find a granite bar, a bay window dining area with postcard-worthy views, and a chef's kitchen redone with maple stained cabinets, granite counters, upgraded appliances, and an island with prep sink.The spacious master suite is styled with coffered ceilings, bamboo floors, walk-in closets, and his and hers baths with marble flooring. Outside, a covered patio overlooks the custom heated saltwater pool and spa with rock waterfall, meticulous landscaping, and an expansive estuary with fountain. 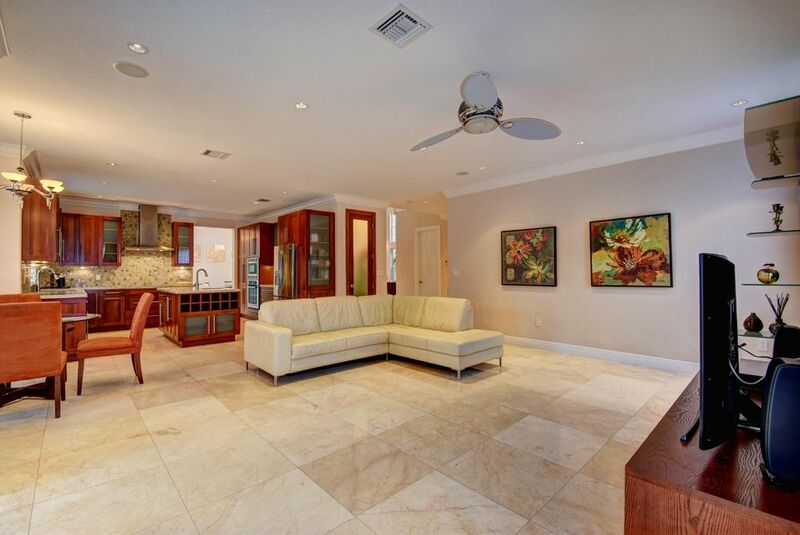 *LOCATION* this upgraded Renoir model on a premium large lot backing into preserved everglades. Wake up watching the birds, eagles fly, turtles nest, than watch the sun set over the everglades. Saturnia is a guard gated community with wonderful amenities such as resort style pool, tennis, fitness room, play room, on site manager, pet friendly and more. In the perfect location across the street from 2 A+ rated schools and South County Park. This beautiful Renoir model with master downstairs, upstairs are 3 bedrooms, 2 baths, home theater, loft/play room and craft nook. 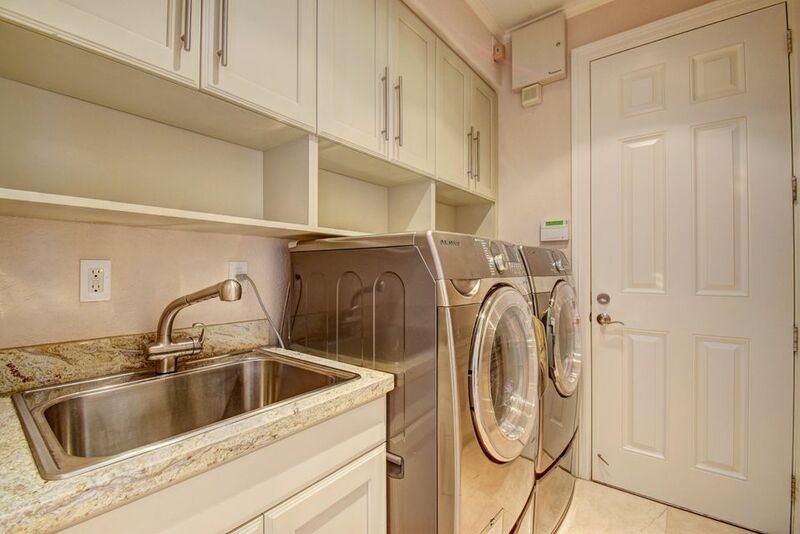 Recently remodeled granite kitchen with upgraded appliances, gas stove. Plant fruits and vegetables in your garden area. Outside is a large salt enclosed heated pool. 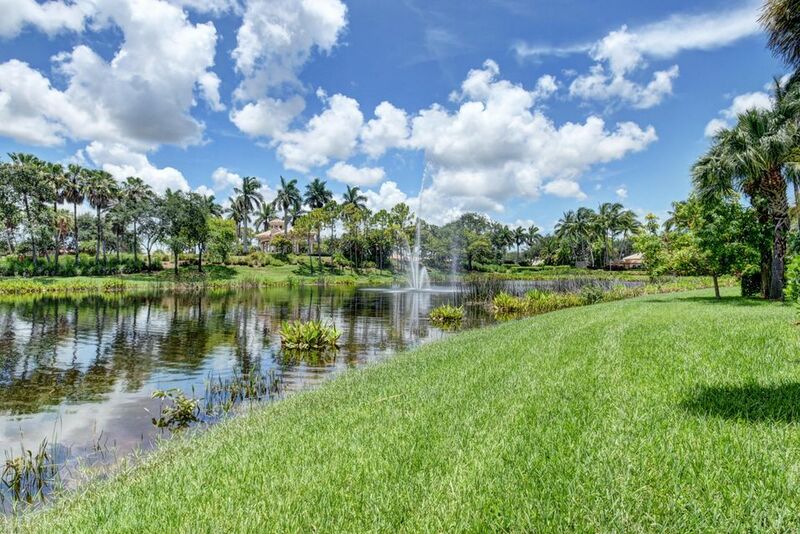 Just lake and nature in your backyard very private. NEWLY PRICED AND READY FOR IMMEDIATE SALE!!! NEUTRAL PALETTE, METICULOUSLY MAINTAINED AND NICELY FEATURED RIESLING MODEL WITH HUGE MASTER ON FIRST FLOOR. 3 LARGE BEDROOMS AND HUGE LOFT ON SECOND FLOOR WITH FRENCH DOORS LEADING TO BALCONY. 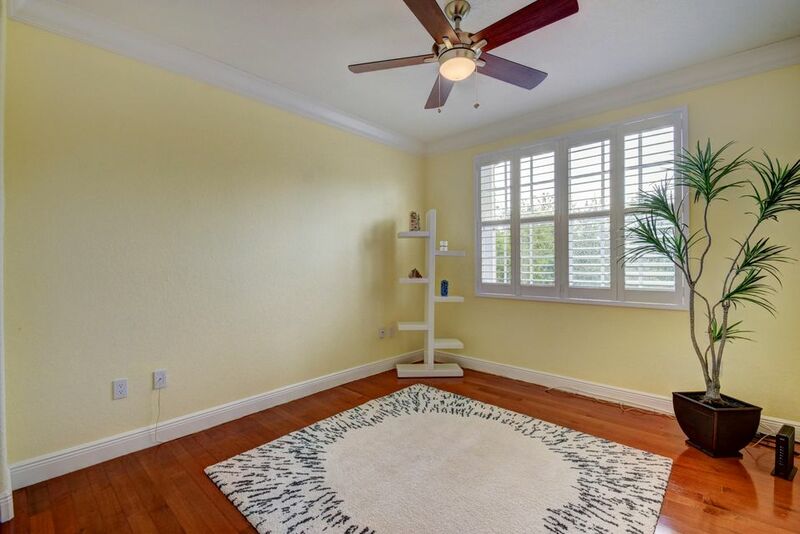 UPGRADES INCLUDE: 3 1/2 BATHS, WOOD KITCHEN CABINETS AND GRANITE, PLANTATION SHUTTERS, FRESHLY PAINTED EXTERIOR. WALK TO THE CLUBHOUSE AND ENJOY THE POOL, GYM, TENNIS AND MORE. SATURNIA IS A GUARD GATED COMMUNITY WITH WONDERFUL AMENITIES, ACROSS THE STREET FROM 2 A+ RATED SCHOOLS, WALK TO THE SOUTH COUNTY PARK, CLOSE TO HIGHWAYS AND SHOPPING. A MUST SEE! Fabulous home on the most magnificent long view lake lot. 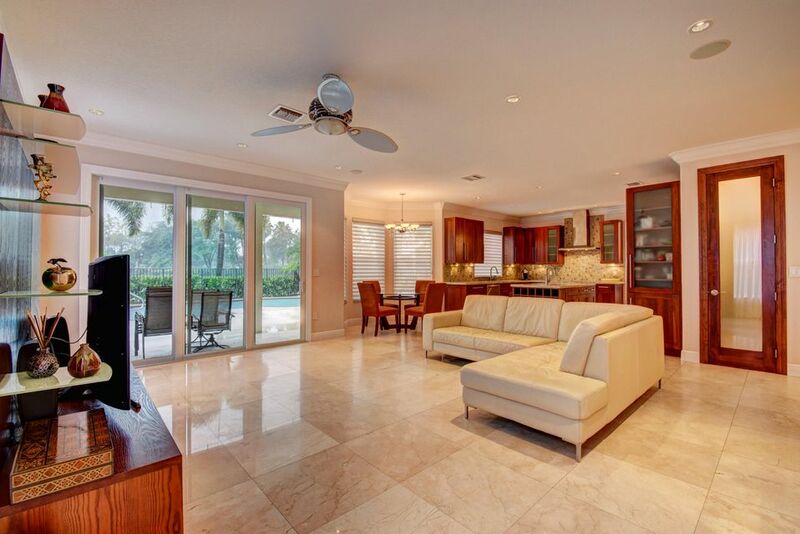 Complete with a two storied screened enclosure that makes out door entertaining a pleasure. Take a swim in your heated pool, or relax in your spa. 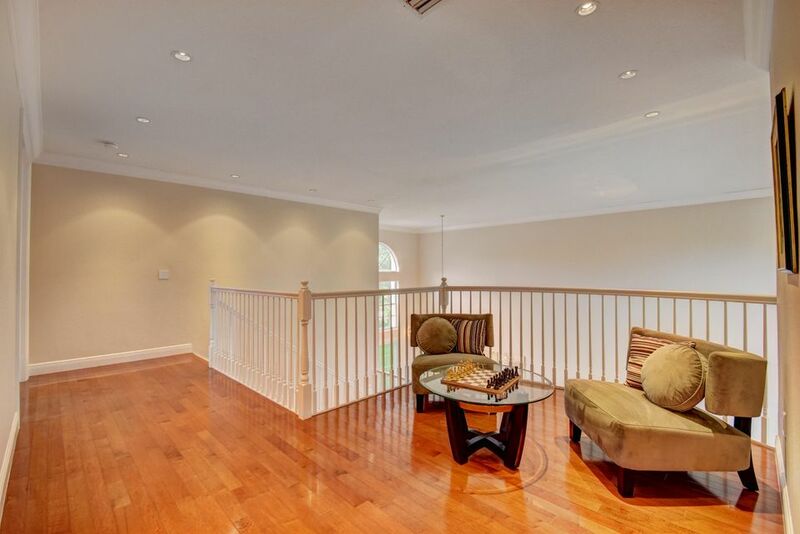 This home is highly upgraded, along with many built-ins. 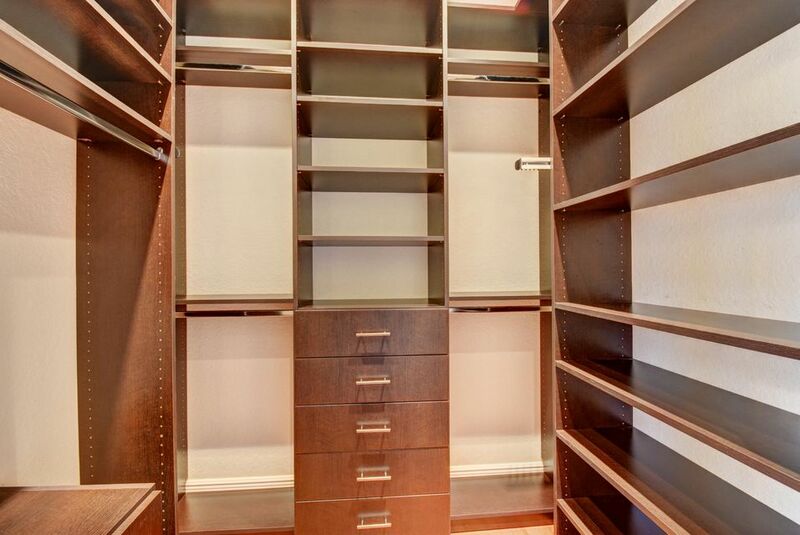 For the wine lovers, enjoy the custom wine closet that has been added. 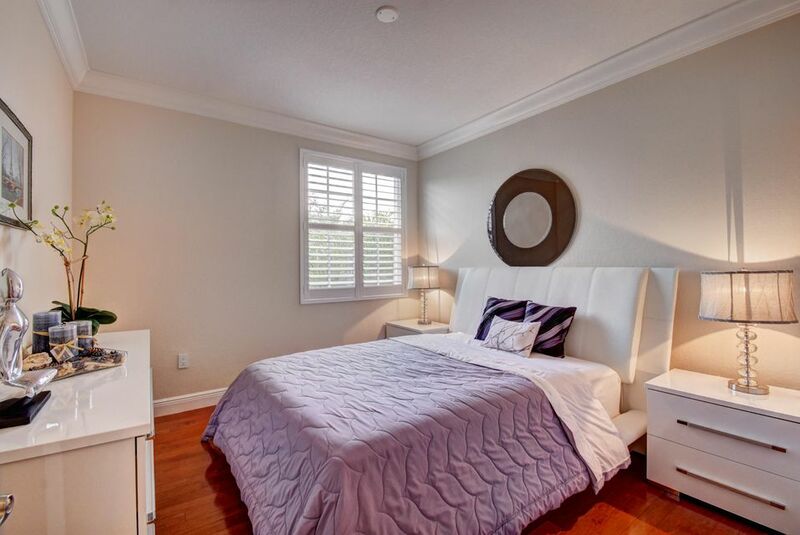 Enjoy your Master bedroom suite with 2 walk-in custom closets, giant master bathroom with Jacuzzi. Relax outside on your second floor veranda, making it perfect for enjoying your beautiful serene lake view. Great schools and park in walking distance. Beautiful 5 bedroom plus office, 4 1/2 bath estate home. 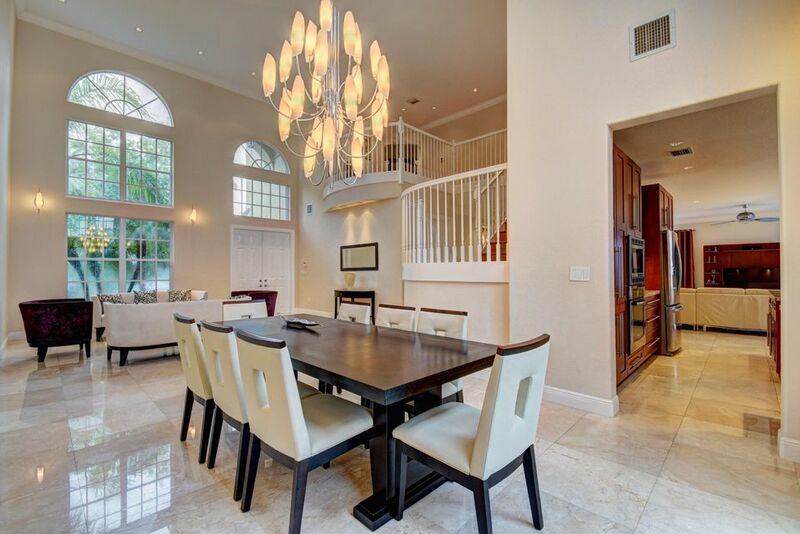 Spacious and light filled with soaring ceilings and private screened pool. 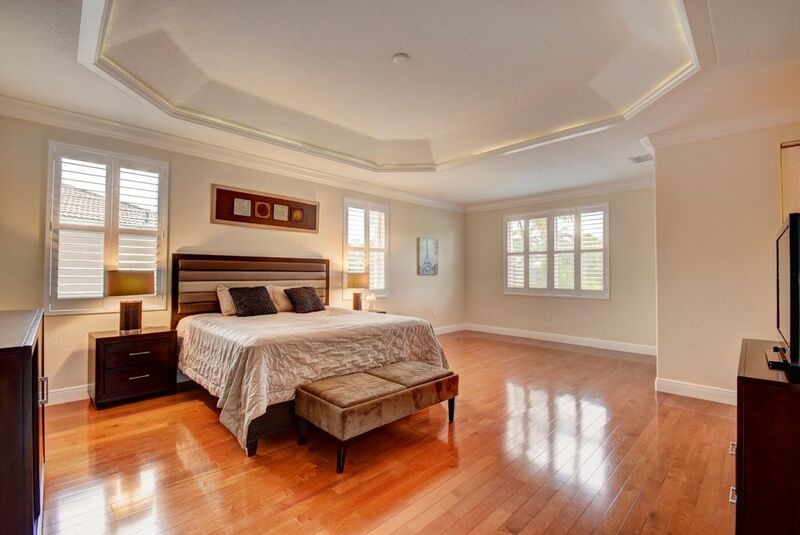 Huge master suite downstairs as well as a guest suite plus office. 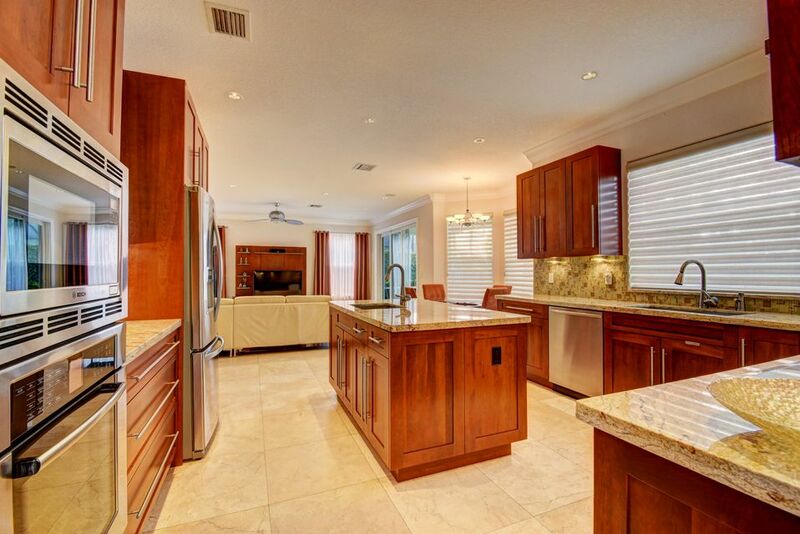 Open Kitchen with family room and formal dining room. Upstairs has open Loft/Recreation Room plus 3 bedrooms. Great Backyard with Large Refreshing Pool and Lush Landscaped Grounds. Priced to sell! 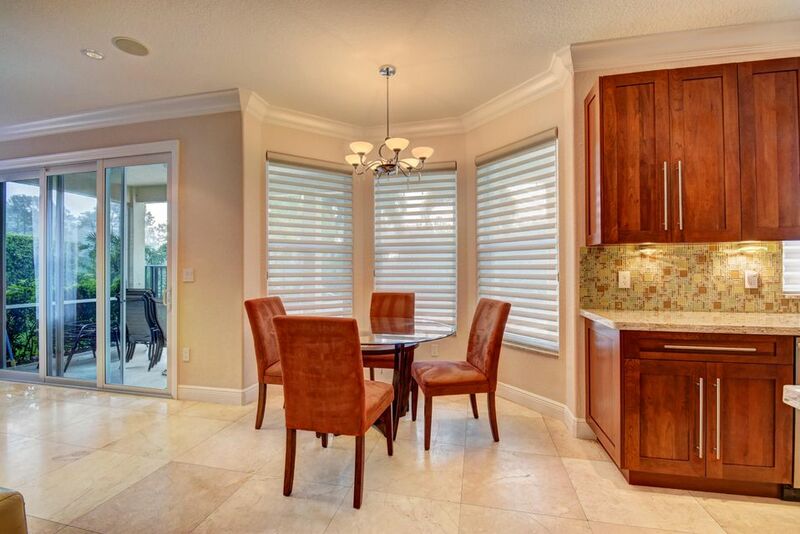 Gorgeous single story lakefront home with lavish upgrades throughout. 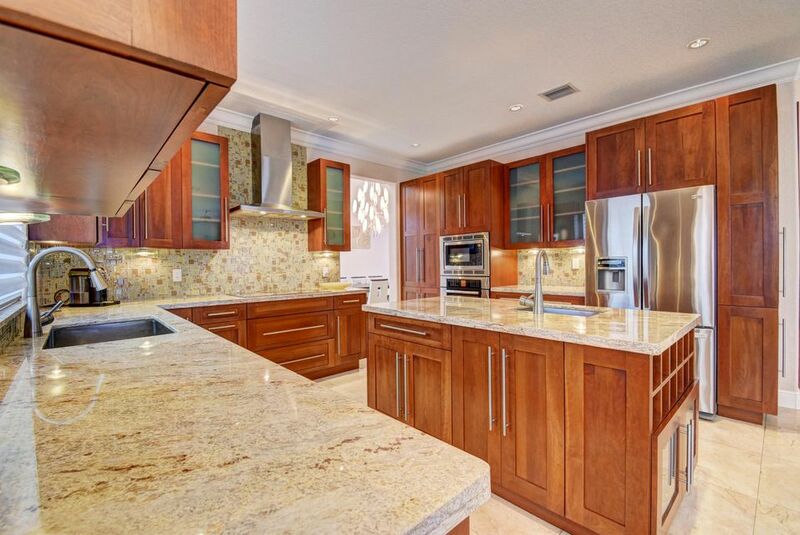 The open kitchen boasts granite counter tops and custom wood cabinets. Marble floors. Private pool with grilling area, fenced in yard. Neighborhood is steps away from local water park and dog park, near essential shopping centers. Schedule a tour to see this fabulously upgraded home today! Lovely home in desirable Saturnia! 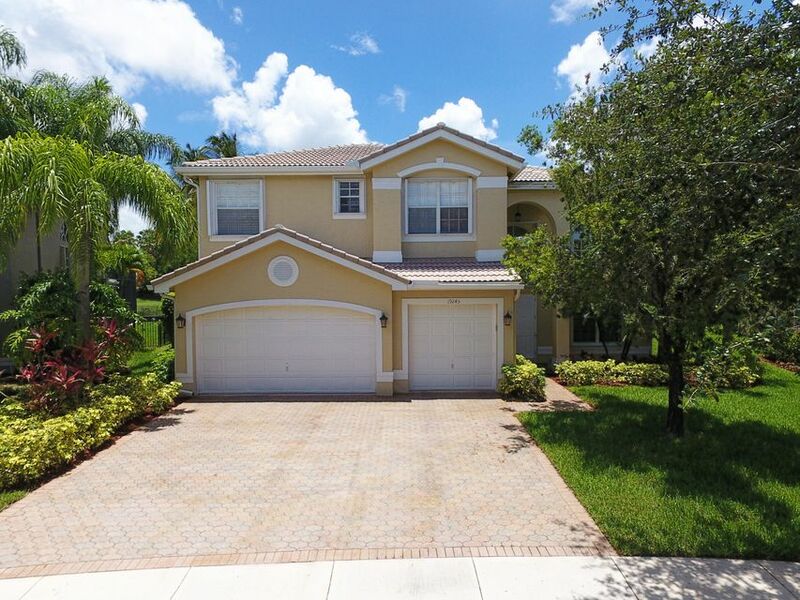 This beautiful 5 bedroom, 3 bathroom home is perfect for a large family. 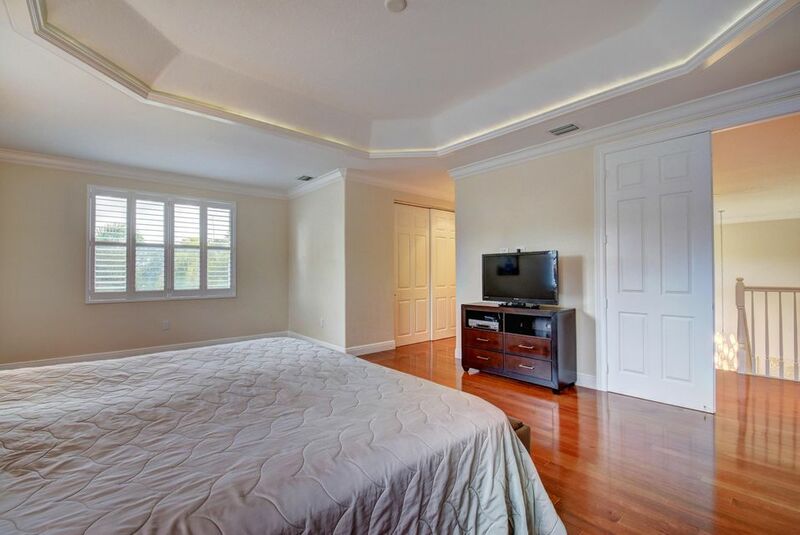 The master bedroom has 2 walk in closets and a lovely sitting area. The wonderful eat in kitchen and all new appliances with granite countertops are ideal for any occasion. 2 new A/C units. 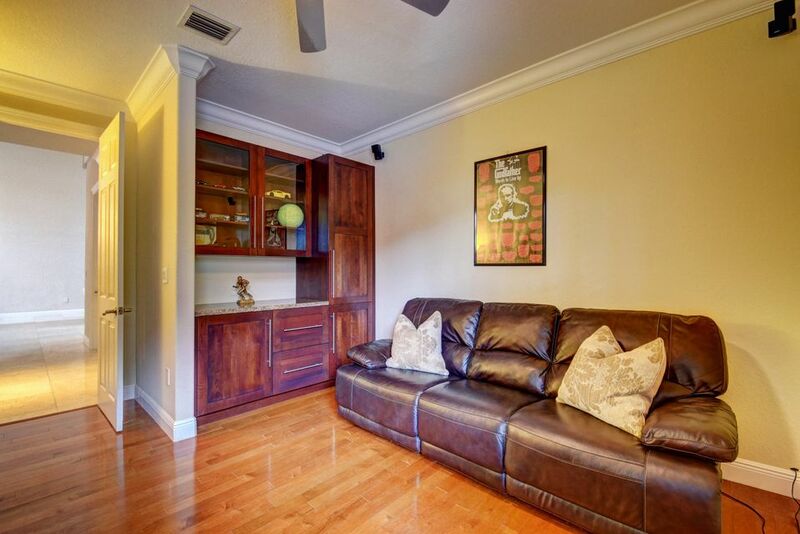 This home has an office/playroom right off the family room and all of the bedrooms are upstairs. 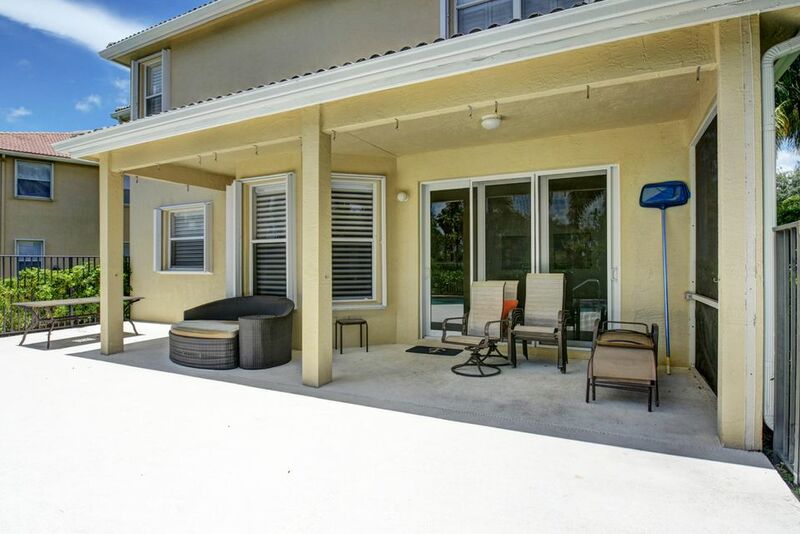 The screened in pool and patio equipted with pool gate keeps a safe and enjoyable entertaining area while the nice open side yard is perfect of a dog run or a game of catch. This home is located directly across from Grade A public schools. This home is priced to sell! 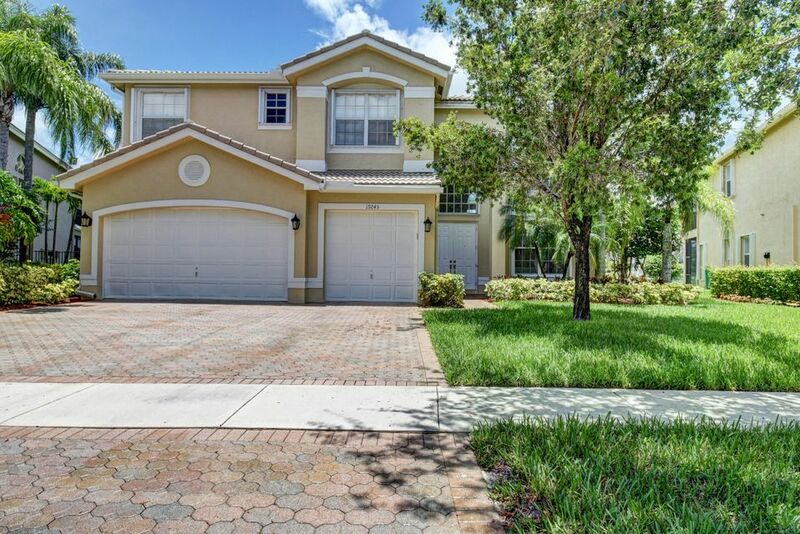 This beautiful 5Br/4Bath home has it all, heated freeform pool ,wet bar and the perfect kids play area for everyone to enjoy, great house for entertaining inside and out.large bedrooms , 4 Br upstairs and 1 Br downstairs great for gusts with a built in murphy bed included.large kitchen and formal dining room with granite counter tops, stainless steel appliances and lots of storage throughout! 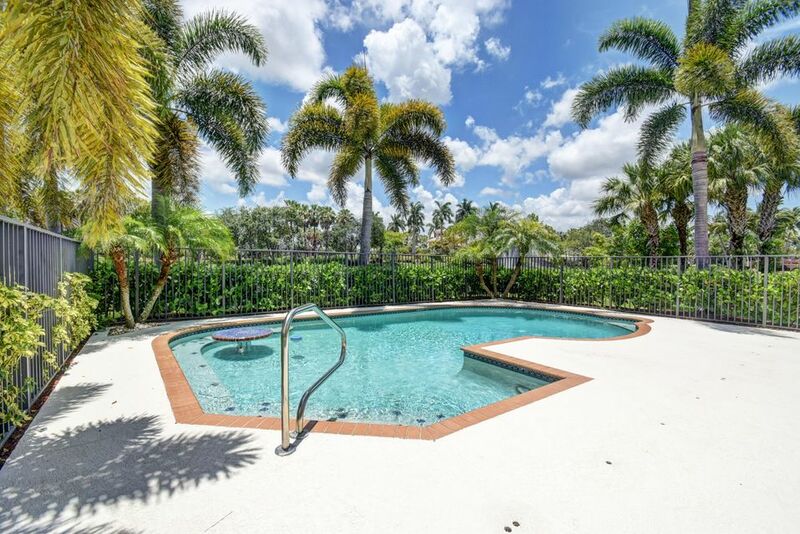 This upscale gated community has the serine environment you are looking for with top gym room , social area for parties, Beautiful pool and hot tub, tennis courts and more.All 'A' rated schools elementary and middle are walking distance across from the community . Just the perfect home to raise your family ! 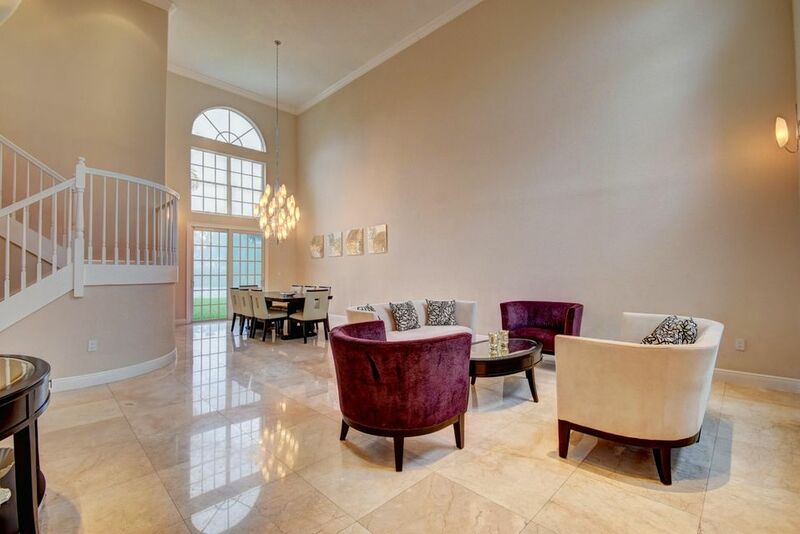 Spectacular Lakefront 5 bedroom plus game room/play room with a new saltwater pool/spa. The former Raphael Builders Model features: newer appliances, A/C, kitchen counter-tops, washer/dryer, whole house generator and buried propane tank which heats the pool/spa. Circular Driveway, accordion shutters, wet bar, custom window treatments, light fixtures and closet built ins. Elegant 3 way Split Floor Plan. So many more upgrades, too many to list. One of the best lots with the best pool and the best Layout in Saturnia. BEAUTIFUL 5 BEDROOM POOL HOME IN SATURNIA!!! !LIVE THE SATURNIA LIFESTYLE IN THIS GRANDE MODEL HOME!! LOCATED ON EDGE OF CUL-DE-SAC IN THIS WONDERFUL, GATED NEIGHBORHOOD, ACROSS THE STREET FROM A RATED ELEMENTARY AND MIDDLE SCHOOLS AND CLOSE TO SOUTH COUNTY PARK. 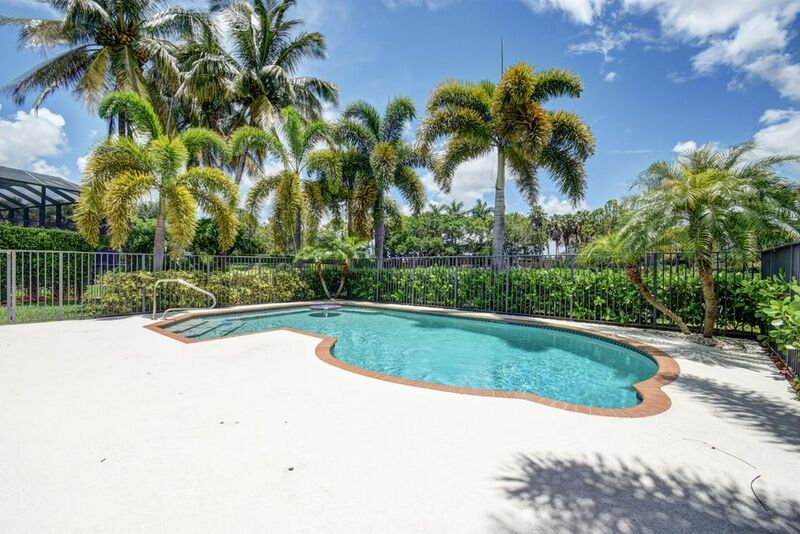 LARGE POOL AREA BACKING TO NATURE PRESERVE PROVIDES UTMOST PRIVACY. GREAT FLOOR PLAN PROVIDES AN OFFICE/BEDROOM OPTION WITH FULL BATH ON FIRST FLOOR..CLUBHOUSE, FITNESS AND ACTIVITY CENTER, LIGHTED TENNIS COURTS AND LOW HOA FEES MAKE THIS COMMUNITY IDEAL! Elegant, well-maintained one story Picasso model home, situated on the best Lakefront lot in Saturnia; double cul-de-sac. 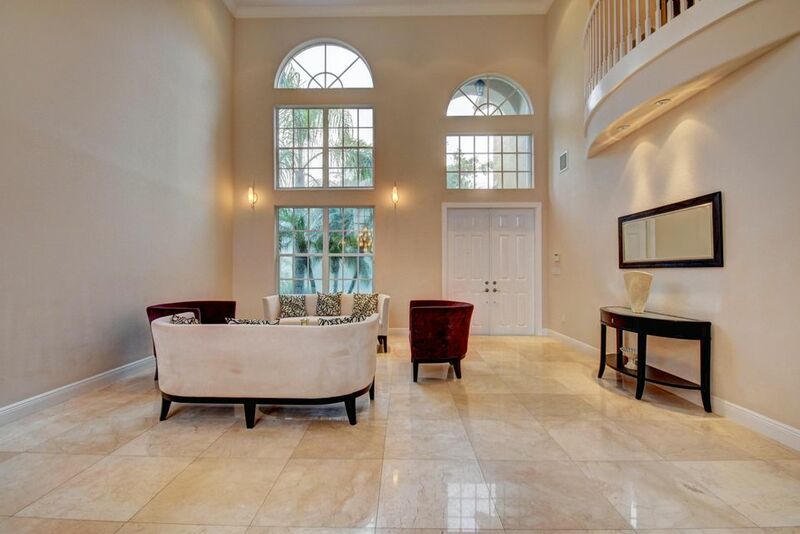 This beautiful 5 BR/4 Bath/ 3 Car Garage Pool home of more than 3,600 sq ft has marble flooring in all common living areas. 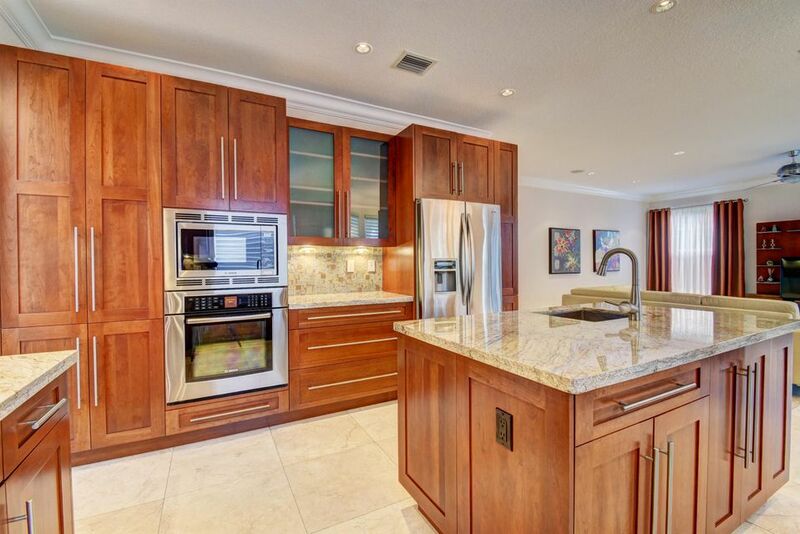 The contemporary, open-concept kitchen w/ stainless steel appliances overlooks the family room and ample dining space. 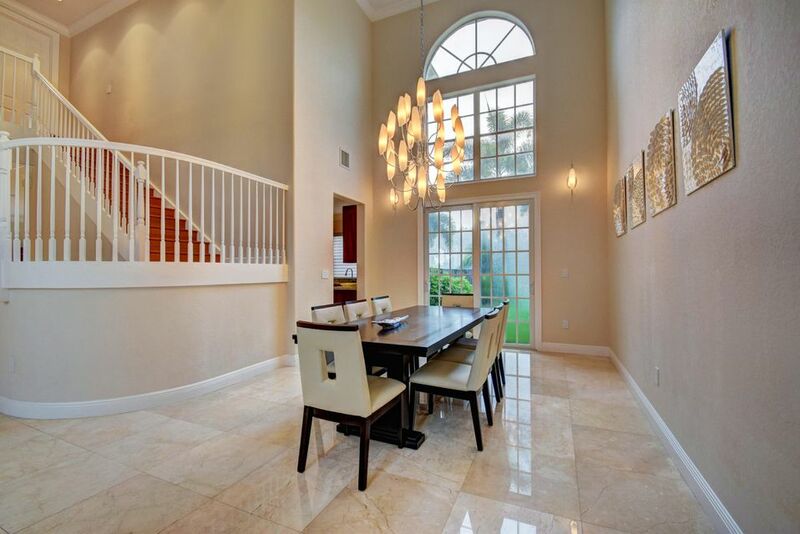 Formal Living and Dining Rooms are complemented with tray ceilings and stylish fixtures. Take in panoramic views of the lake and preserve, or enjoy the sunrise and sunset from any room. Extensive, mature landscaping lends privacy for relaxing or entertaining. Sizable, screened paver patio/heated pool/spa. Paver driveway. Amenities: clubhouse, pool, spa, exercise room, tennis, basketball and more.Furnishings negotiable. Must see. Spectacular 5 Bedroom, 3 Bathroom, 2 story home strategically located across the street from Sunrise Elementary and Eagles Landing Middle School.. This home is a must see with one of the most expansive lake views in the beautiful community of Saturnia. 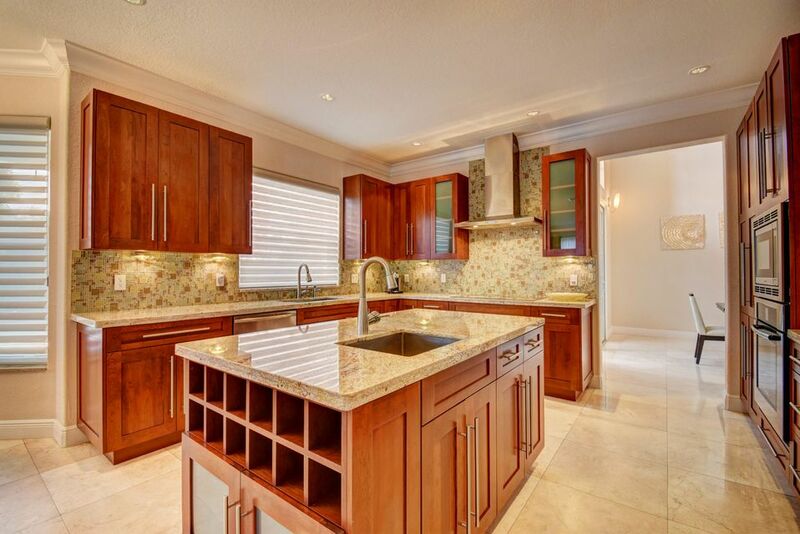 Gourmet kitchen is upgraded with granite counter tops. Hardwood on staircase flows into the four bedrooms and loft on 2nd floor. 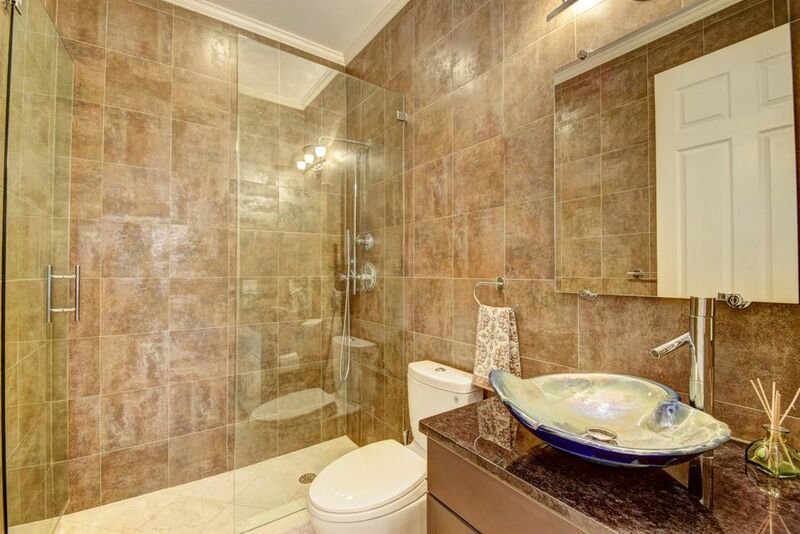 Master suite on 2nd level features dual sinks, separate bath/shower, sitting area and incredible views of the lake. French doors, tile on the diagonal, remodeled 1st floor full bath and large patio with plenty of room for entertaining. Converted 1 of 3 car garage into an air conditioned room that can be used as a play room, nanny's room or office. This home is move in ready! Clubhouse pool is heated. UNBELIEVABLE PRICE FOR THIS MOVE-IN READY UPGRADED ONE STORY HOME! Lovingly Cared for with Attention to Detail, it Shows Like a Model! 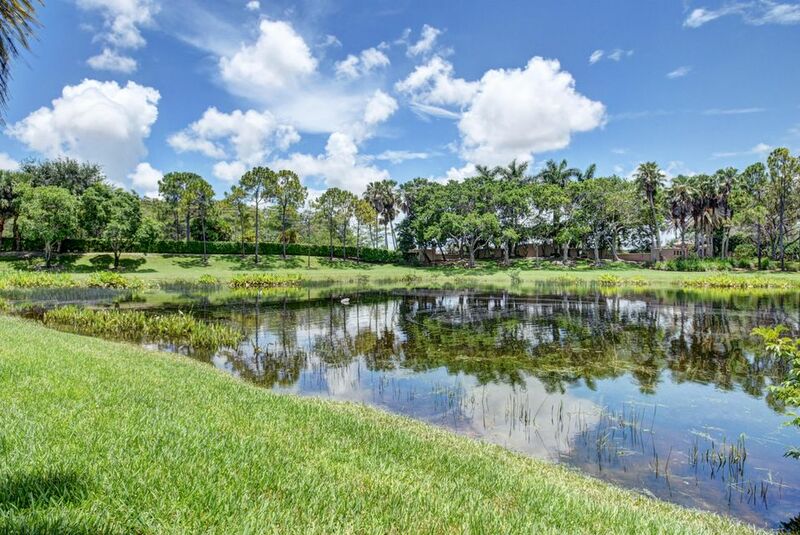 Located on a Premium Lakefront Lot, it Backs Up to a Protected Refuge, so There Will Never be a Rear Neighbor! Heated Pool with Spa and Covered Patio. 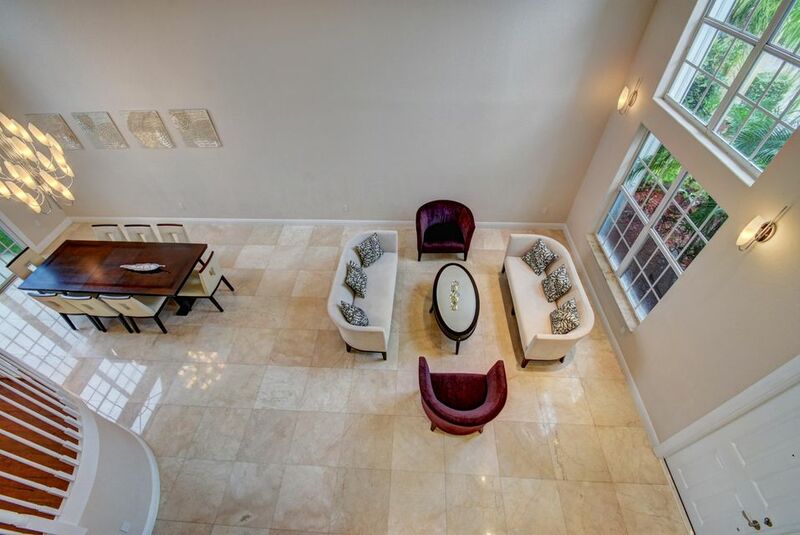 Diagonally Laid Saturnia Marble with Granite Inlays; Kitchen has Granite Countertops and Extended Breakfast Island; Oversized Family Room has Surround Sound. High Ceilings Everywhere! New Accordion Shutters, Newer A/C's and Water Heater. Wi-fi Thermostats, Intercom and Security System. 3 Car Garage with Circular Driveway. 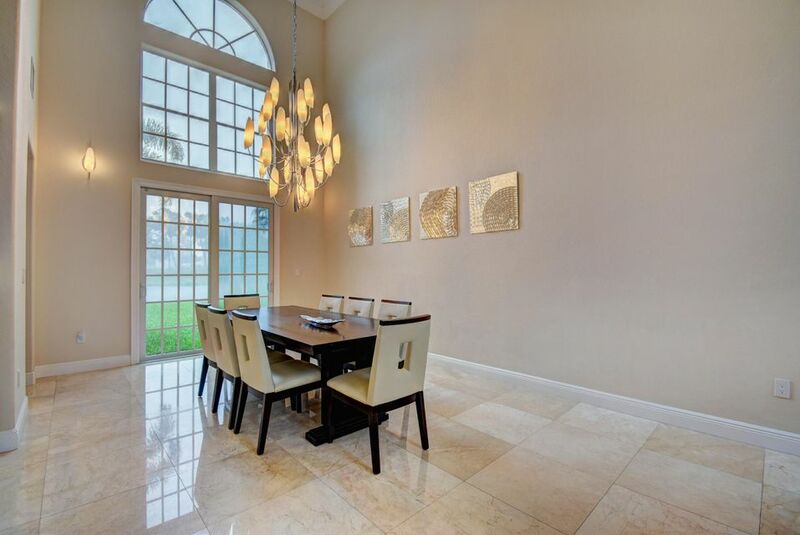 Saturnia is a Gated Community Across from Two A Rated Schools. Clubhouse, Gym, Tennis and More. Close to Parks, Shopping and Restaurants. (All Room Sizes are Approx). 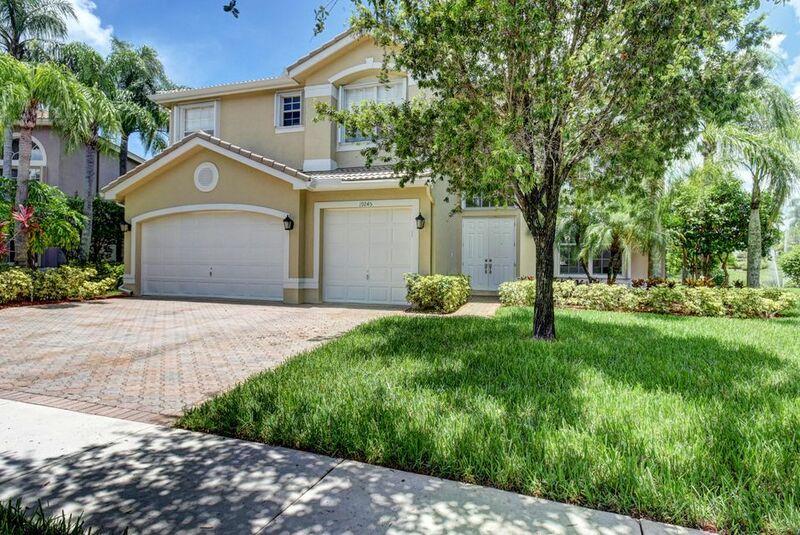 IDX information regarding 19245 Skyridge Cir and a property for sale in Saturnia Boca Raton FL is provided exclusively for consumer's personal, non-commercial use. It may not be used for any purpose other than to identify prospective properties consumers may be interested in purchasing, and the data is deemed reliable but is not guaranteed accurate. All listings featuring the BMLS logo are provided by BeachesMLS Inc. This information is not verified for authenticity or accuracy and is not guaranteed. © Copyright 2013 Beaches Multiple Listing Service, Inc. 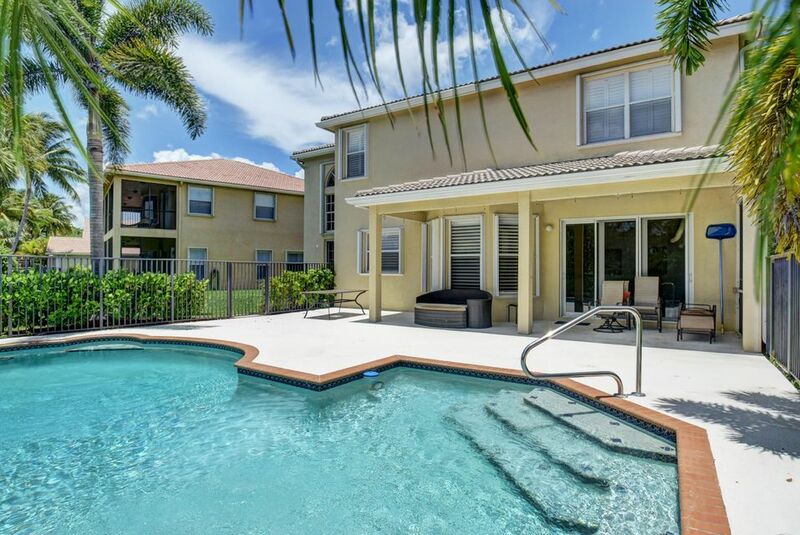 Unless otherwise noted, all property information regarding Boca Raton property for sale and a property for sale in Saturnia Boca Raton FL is obtained from public records and/or provided by MVRealty.